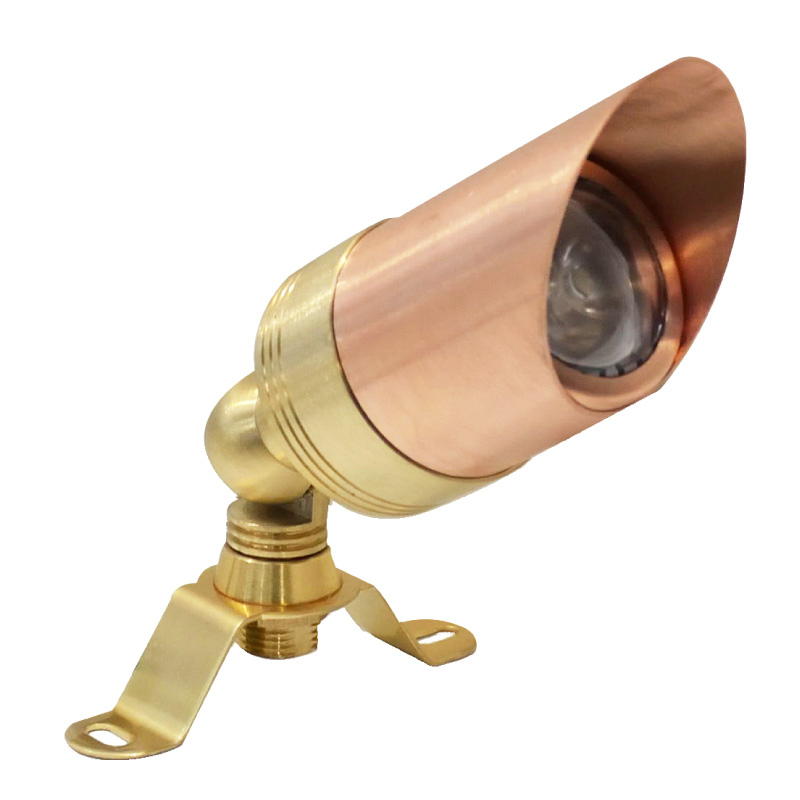 The 12 volt Director Tree Light in traditional copper has a solid brass, serrated clamp joint and fixing mount. 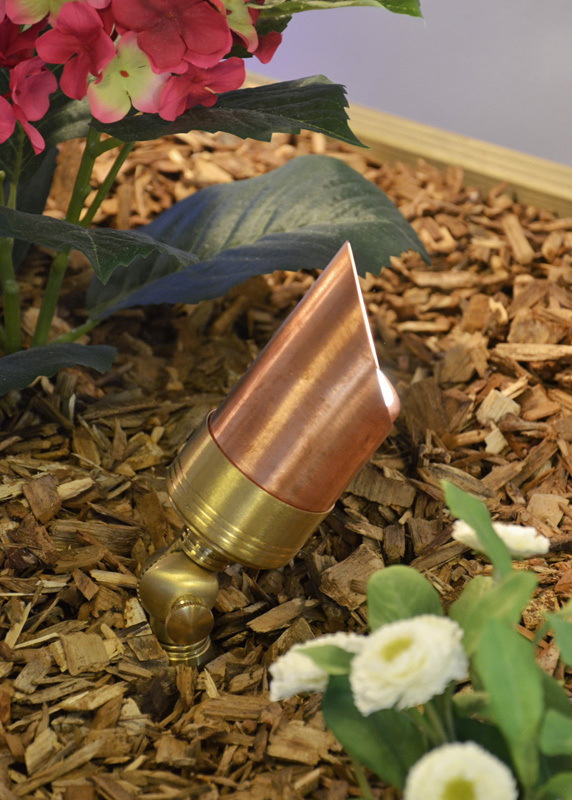 A lot like it’s sister, the Brass Director Tree Light, it can be fixed anywhere in the garden including trees, decking or raised areas of garden wall, and the bracket can be removed if required. 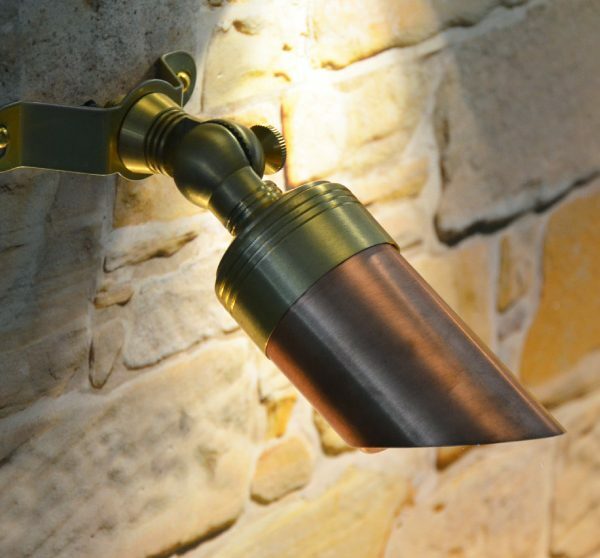 This copper outdoor spot light can easily be adjusted to shine in various positions at over 180° (vertically). 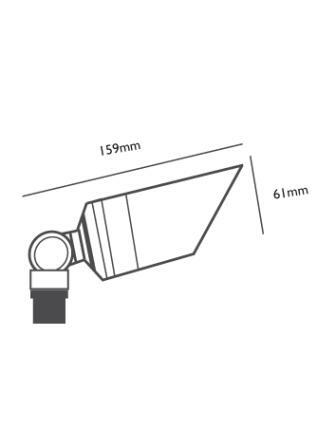 The tubular body of this Director Tree Light, convex lens and integrated glare shield results in the light shining in a narrow, spot light beam rather than a wider flood beam, ideal to emphasise individual focal points in the garden. 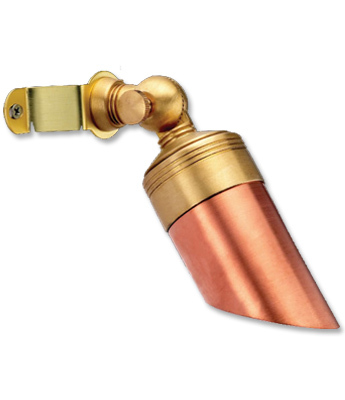 The 12 volt Director Tree Light in traditional copper has a solid brass, serrated clamp joint and fixing mount. 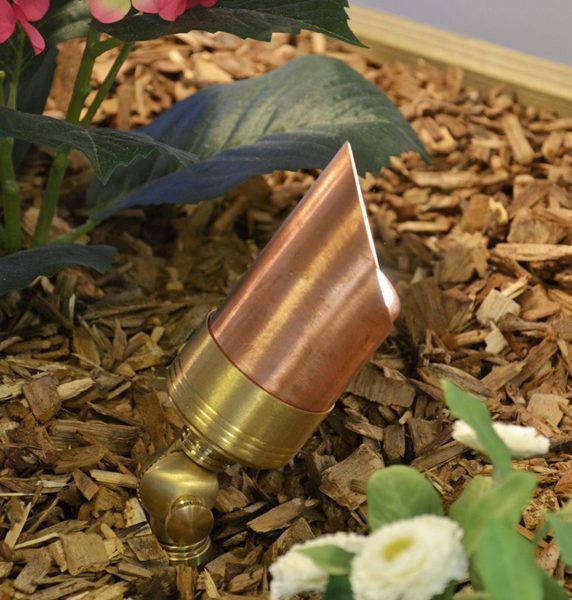 A lot like it’s sister, the Brass Director Tree Light, it can be fixed anywhere in the garden including trees, decking or raised areas of garden wall, and the bracket can be removed if required. 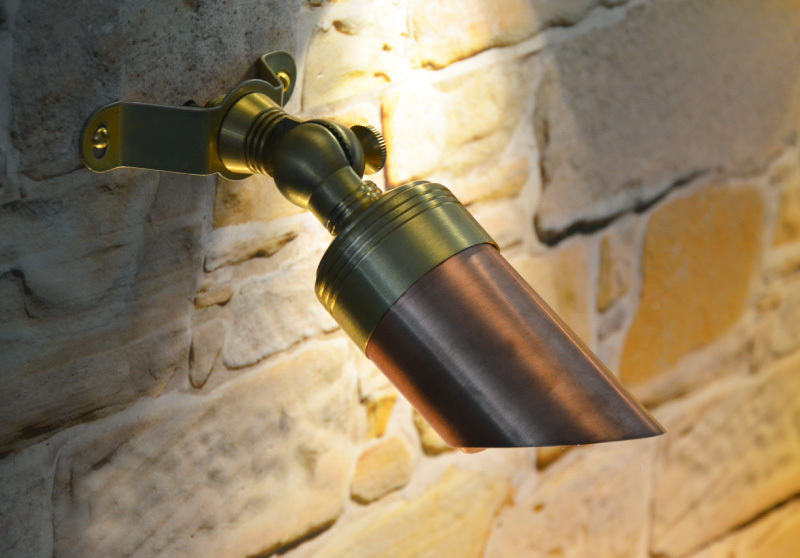 This copper outdoor spot light can easily be adjusted to shine in various positions at over 180° (vertically). 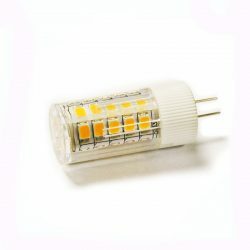 The tubular body of this Director Tree Light, convex lens and integrated glare shield results in the light shining in a narrow, spot light beam rather than a wider flood beam, ideal to emphasise individual focal points in the garden. This classy, IP54 copper spotlight requires an MR16 lamp, which is easily installed and replaced. 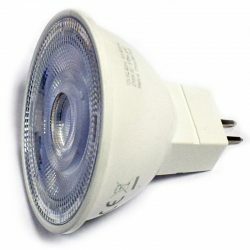 We recommend the use of an LED MR16 which benefits from increased lamp life and uses little energy compared to halogen equivalents. 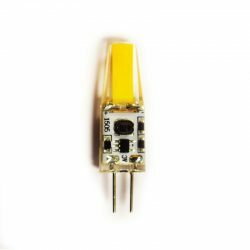 To remove the main body from the brass base and replace the lamp, simply pull to release, and push back on securely to replace. 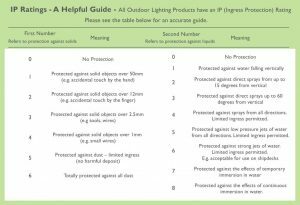 This simple method of using rubber grips means that the fitting is even more waterproof, and no external screws are required which not only makes maintenance easier and less likely, it also adds to the traditional design quality. 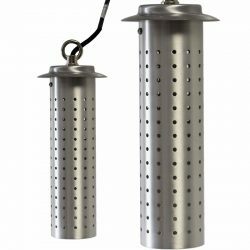 If required this garden spotlight can easily be converted to a spike light by simply removing the bracket and replacing with one of our optional ground spikes, either a solid brass spike or a polycarbonate spike. 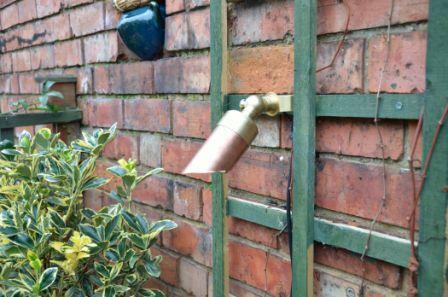 Garden lights made from copper will weather over time to create a natural mottled effect that blends in with outdoor surroundings such as brick, plants and tree bark. 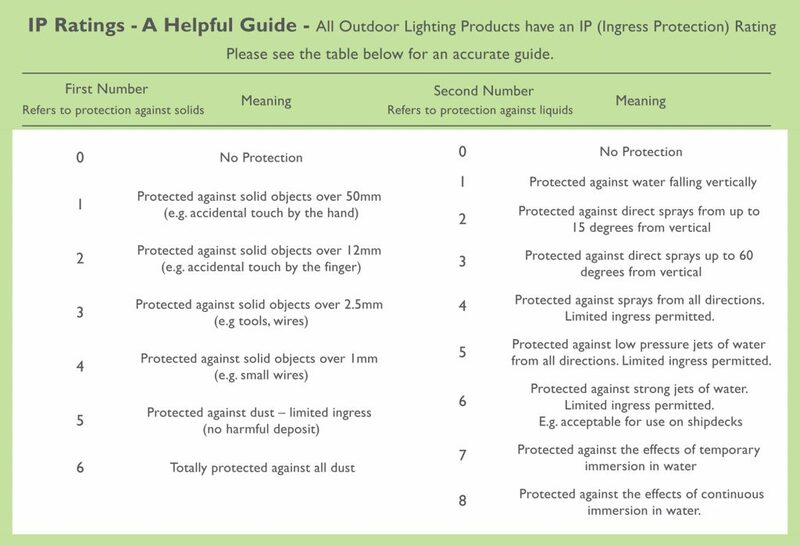 After longer periods of time a ‘verdigris’ effect may be present.